Why it matters: Kickstarter success story Kano has expanded its product line with a new touchscreen-enabled computer kit. If you're looking for a fun and interactive way to get your kids interested in technology, something like this or a littleBits kit would be a great place to start. Kano, makers of DIY computer and coding kits that help children learn about technology, has launched a new version of its computer kit that adds a touchscreen to the mix. Around this time last year, Kano unveiled a DIY “laptop” albeit not in the traditional sense. Unlike standard laptops, Kano’s offering didn’t use a clamshell design but rather, a separate screen and keyboard assembly. This was great but as we know, kids today have grown up in the mobile era where touchscreens are a way of life. The new DIY computer with touchscreen addresses this shortcoming, allowing little ones to interact using their own two hands. The kit comes with everything needed to build the system (don’t worry, it’s color-coded and comes with a step-by-step storybook to help) and begin coding through hundreds of creative stories and challenges. Once complete, your junior coder can share their masterpiece with others through Kano World, an online community that’s home to more than 660,000 projects. 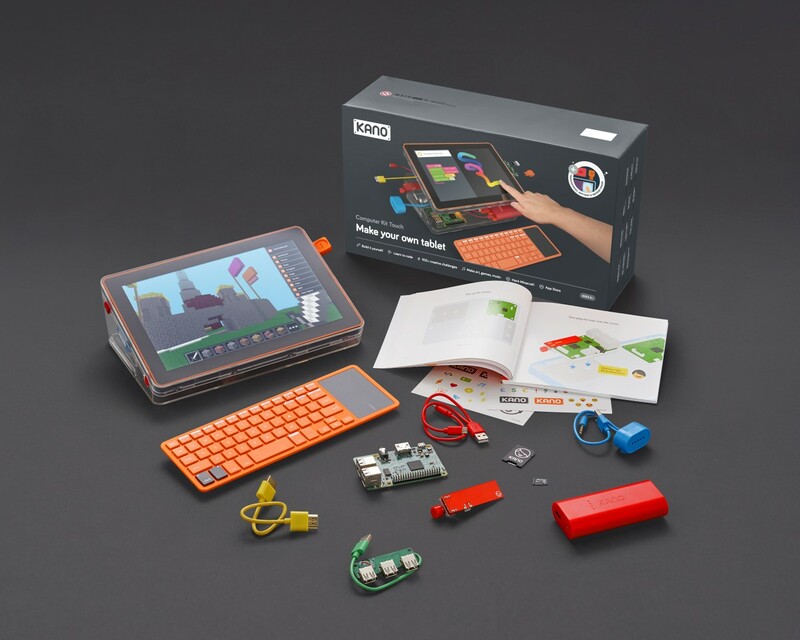 Kano’s computer kit with touchscreen is available to order from today. It’s priced at $279.99 and ships within 4-7 business days. Those not looking to dip that hard into their wallet may be interested in the basic computer kit which includes a Raspberry Pi 3 powered computer (you supply the monitor) for $149.99.